The Lockheed F-104 Starfighter is a single-engine, supersonic interceptor aircraft originally developed by Lockheed for the USAF. The F-104 served with the USAF from 1958 until 1969, and continued with Air National Guard units until 1975. The operational service of the Starfighter ended with its retirement by the Italian Air Force in May 2004. A total of 2,578 Starfighters were produced. Important to accentuate is that complete model was first drawn in 3D program!!! Every ply part of model frame construction is laser cut. 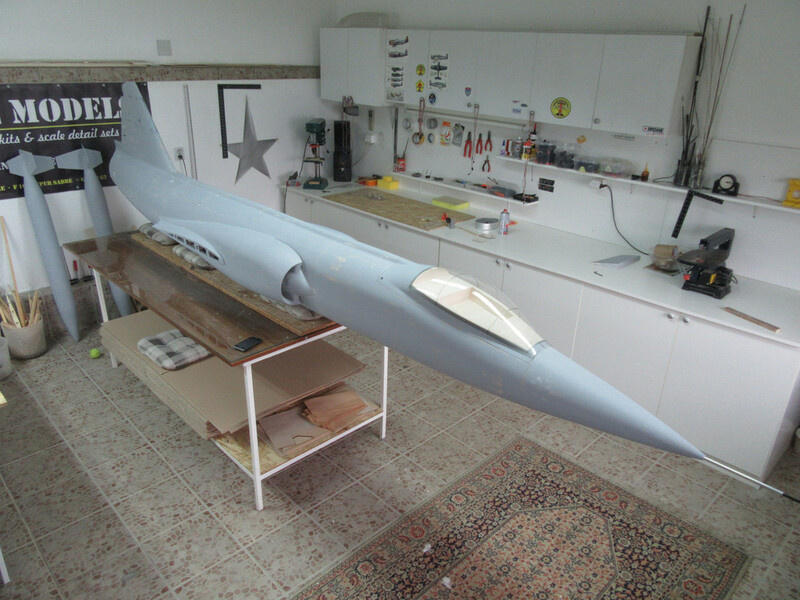 In combination with 3D drawing, parts fit perfectly and modeler need minimum time to assemble F-104 Starfighter wooden kit. Shipping is not in kit price, but for example for USA shipping cost 90,00 Euro. - 3D printing tip tanks - 80,00 Euro - this is optionally!!! Francesco Mondinelli offer fantastic cockpit for this F 104 kit. 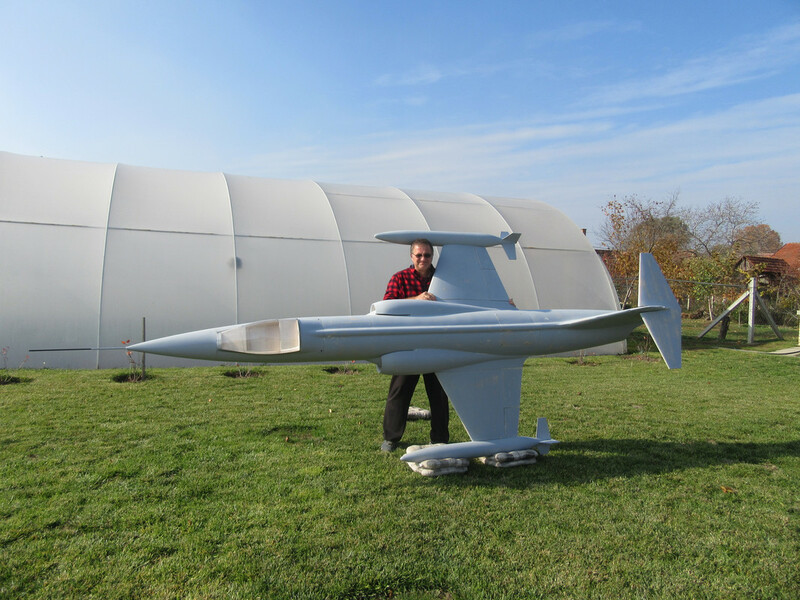 Damiano's quarter scale F-104 maiden flight was made during spring 2012. Until then Starfighter flew more than 150 times!!! We recommends covering the air frame with 3 mm balsa & 100 gr fiberglass cloth and epoxy resin. Tip tanks... Just to mention, tip tanks is almost 1,3 meter long!! !